University of Eastern Finland’s and Savonia University of Applied Sciences’ students and staff members are enjoying their sports afternoon on 12.2. at 12-16. Every event in sports afternoon is open for all students and staff members of Savonia and UEF as well as the students of HUMAK and Uniart Kuopio campuses. You don’t need a SYKETTÄ sticker to participate in these events! You have to register as a user if haven’t done it before. You can find the registration form here. More information in the section “enrolling”. The enrolling opens at 29.1.19., exactly 14 days before the event begins. You have to enroll for Sports Afternoon events via SYKETTÄ web page’s Sports calendar (choose events that are held on 12.2.). You have to register in SYKETTÄ web-page and fill in the registration form, if you haven’t done it before. If you have already registered, then you can just sign in with your e-mail and password and enroll for classes. If you don’t have any valid sticker at the moment, please visit the webshop at https://sykettä.fi/kuopio/fi/kauppa/ and buy (don’t worry, it’s free!) a sticker named “Ilmainen liikuntailtapäivä 12.2. / Free Sports afternoon 12.2.”. You don’t have to pay the SYKETTÄ sport fee. Choose “Free Sports afternoon” sticker from the shop’s Sport Fee list. After that you can enroll for all the Sport Afternoon events. If you forget to cancel the event or you do it too late it costs you 10 €. Remember to cancel the class on time if you can’t participate! You can cancel the class at the latest on Monday 11.2., exactly 24 hours before the event begins. Note, that there are some classes (arranged by external partners) that requires you to enroll before certain date. This is told in the description of the class, so read the information carefully! You can cancel the class via SYKETTÄ Sports calendar the same way you have enrolled for the event, or from the “own enrollments” link in top of the web page. When you enroll, you agree to our practice with the cancellation. – If you let us know before the event starts, it’s okay! – If you let us know only afterwards or when the event has already started, please deliver us a sick leave certificate or pay the cancellation fine 10 €. 13.00 – 14.00 Riding for those who have previous experience (7 persons) You have to know how to saddle a horse. Saddle 20 min + 45 min riding. 14.30 – 15.30 Riding for those who have previous experience. (7 persons) 45 min riding + taking off the saddle 20 min. Price: 20 euros/participant, max 7 participants/group. Enroll via the sports calendar. Payment must be done at latest Thursday 7.2. to the following bank account number: FI 55 1078 3000 220219 (Savisaaren ratsastuskoulu). 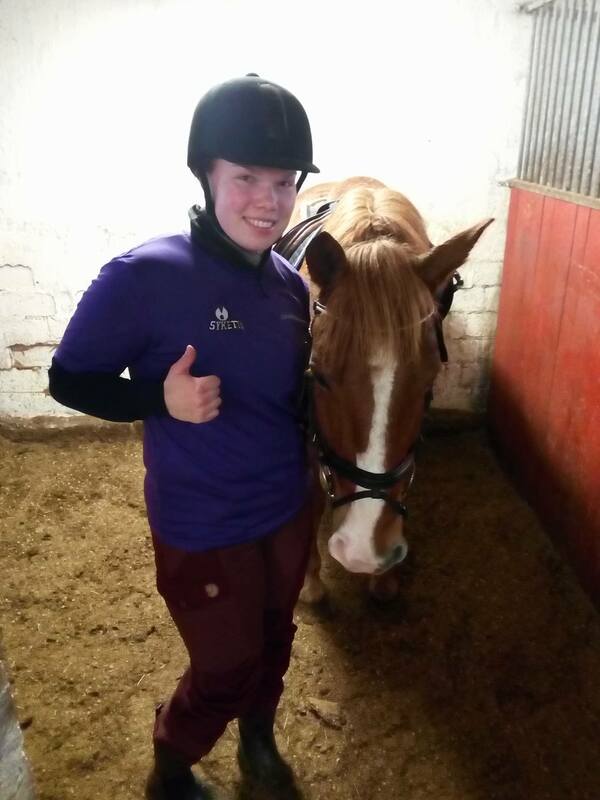 Riding for those who can handle a horse independently as well as beginners. 14.30-15.10, group 3, 4 persons – beginners! In this group you can have a handler with you. Price: 20€/person. Enrolling and payment must be done before 9.2.2019 to the following bank account FI71 1797 3000 013689, write reference HELMIKUU SYKETTÄ. Also the cancellation must be done at latest 9.2.! These bus lines goes to Riding Center ILO: 30, 31, 35 and 40. Leave the bus at Sorsasalo slip road and you have to walk about 15 minutes to get to the Riding Center. See the route info in more detail here. Hockey tournament for the students and staff members of Kuopio’s universities. Enrolling starts on Monday 21.1.19 via the link that will appear in the facebook event page. 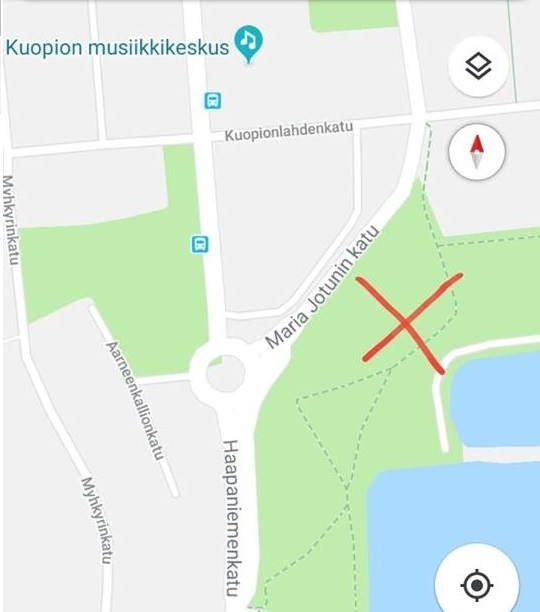 The tournament is organized by KuoLO, Preemio and SYKETTÄ. Bring your own skiing equipment! Instructing available also in english! Enroll at latest 5.2. at 12.00. Enrolling is binding. The limit for frost is -15 celsius. If the weather gets bad, the cancellation will be announced via e-mail directly to those who have enrolled. We will climb the Puijo’s stairs, visit the ski jump towers and then arrive at Puijo Tower. You can climb the stairs or use the elevator. In Puijo Tower you can go to see the great view and if you wish, buy coffee and snack. Cancel at latest 8.2. if you can’t make it! Come to play rugby! It is a contact team sport which originated in England in the first half of the 19th century. It is based on running with the ball in hand. In its most common form, a game is between two teams of 15 players using an oval-shaped ball on a rectangular field with H-shaped goalposts on each try line. Rugby union is a popular sport around the world, played by male and female players of all ages. During the sports afternoon we will try this game in the snow! You only need warm clothes, open mind and some fighting spirit! In Kuopio you have great possibilites to ski in diverse landscapes, even in the city. Here you can see the ski tracks of Kuopio and their condition. If you want to skate, head to the passenger harbour! Restaurant ship M/S Queen R offers you skate rental services. If you have your own skates, you can access the skating route from any of the beaches along the way. There is also a campfire place along the route. The route is maintained by Mestar and it will notify about the condition and opening hours of the route here. Enjoy downhill skiing in Kasurila or Tahko! In Tahko you can enjoy various outdoor activites. The bus ride costs 5 €/person to the Kasurila or Tahko and back. You have to reserve your seat in the bus at latest 8.2. at 16.00! 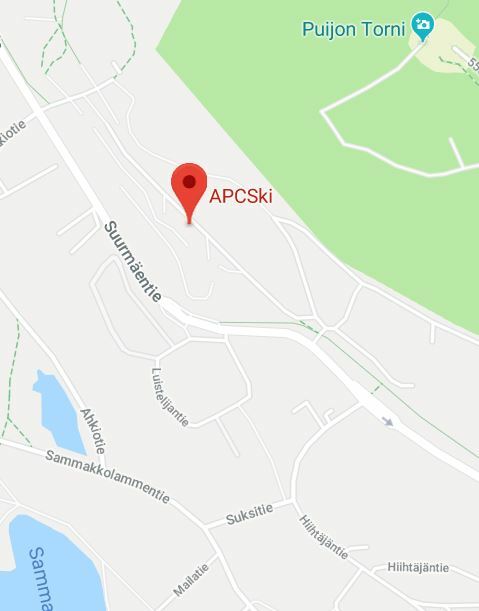 Kasurila is located in Siilinjärvi, about 20 km distance from Kuopio. You can get to know more about the Kasurila and their possibilities with downhill skiing & snowboarding FROM HERE. If you are going to Kasurila, you must book and pay their ski passes beforehand as instructed in this page. Here you can book a bus transportation to Kasurila. There are 25 places. If you need to rent equipment, please inform us via e-mail sirpa.risto@isyy.fi. Equipment are paid at the Kasurila where you also got to try them out. The equipment packages are paid in Kasurila, when you try to equipment on. In Kasurila and Tahko you need a Skidata’s KeyCard (price 5 euros!). If you have an old KeyCard, you can use it. (Cards with card numbers starting with 08 and 14 are no longer valid.) The KeyCards are paid in kasurila and Tahko, if you need one. Tahko is situated in Nilsiä, about 65 kilometers north-east from Kuopio. In Tahko you can participate to downhill skiing as well as many other activities. If you need a bus ride to Tahko, please first book your bus ride and only after that buy your ski pass. Please, acquire your Ski Pass online! You will find payment instructions here. Reserve your bus ride to Tahko HERE. There are 25 places available. You can enroll to the classes by clicking the name of the activity. 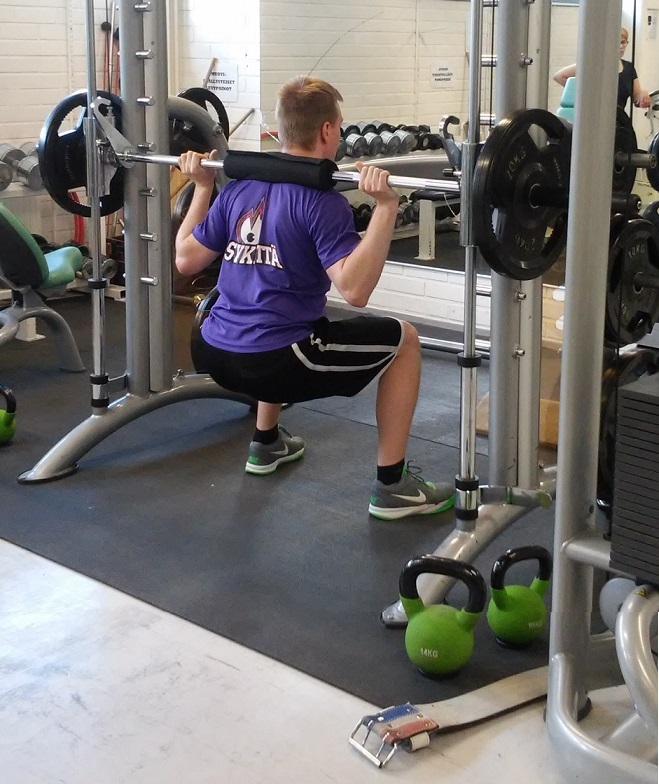 Open doors to the gym 12.00 – 16.00! SYKETTÄ instructor Kaisa will teach you how to properly use the equipment in Studentia gym. Open doors to the Snellmania gym 12.00-16.00. 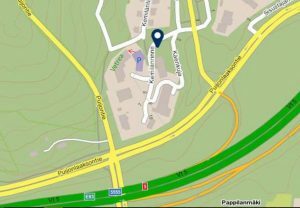 12.00 – 16.00 open doors to the gyms! The doors are open during that time, you do not need the electronic key. 14.35-15.55 Instructed volleyball, 36 persons. Severi Savonsalmi, Jere Heiskanen and Fedor Ivanov, the players of Savo Volley, are instructing the basics of volleyball and then you have time for playing. 12.30-15.30: VARIKKO at the Opistotie campus, sport hall corridor. Nonstop, no reservations! Kinesiotaping 5 €. Taping can help you for example with posture or pain. You can pay ONLY with a card! No reservations, just drop by! Welcome! In sports afternoon you get a lower-price entrance fee for bowling in BowlD1ner, situated in the activity center “IsoCee”. There are 8 bowling alleys in BowlD1ner, you don’t need to book an alley in advance. Just drop by. 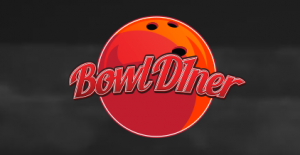 If you want to make sure that you get a lane, please call to Bowl1Diner to make the reservation. Remember to mention that you are taking part to the University Sports afternoon. In addition, during the sports afternoon you can get a big soda just for 2 €! In sports afternoon you have an extra low-priced possibility to try bouldering or climbing with automatic system in Kuopio climbing center VOEMA! In VOEMA you get to climb really easily and safely. You don’t need to book a time in advance to go bouldering or climbing with automatic system. You can just arrive and if you are new with bouldering or climbing, you’ll get a starting info, which is focused on the safety and technique. Pay for the entrance fee straight at the VOEMA Climbing center. There is no time-limit. This extra low-priced possibility is available at 12-21 o’clock. Laser Tag Center welcomes you and your friends to play exciting and fun Laser tag, it’s full of energy and adrenaline with lots of fun! The game is being played in two teams and it requires accuracy in aim and seamless team work. GameCenter’s complex combat field brings thrilling challenges to the games. Before the actual games, you will be taught how to use the equipment. Standoff laser tag game, 15 €/person. The whole arena is renewed and the players will be divided to police men and bandits. Laser fight game is played in an arena where players are provided with fun but harmless laser guns. Please wear comfortable clothes and put sport shoes on. (It is necessary to wear shoes for this game!) Dark clothing helps to hide from opponent players. One game is 1,5 hours. 12.00-16.00: Spa and Gym fee is 8€. Please pay at Kunnonpaikka Spa info. If you go to Gym and Spa, then you don’t need to enroll beforehand. LesMills Bodycombat is a powerful cardio training class inspired by martial arts like karate, boxing, taekwondo, muay thai etc. This high-energy martial arts inspired workout is totally non-contact and there are no complex moves to master. A LES MILLS™ instructor will challenge you to up the intensity and motivate you to make the most of every round. Kunnonsali is situated in kauppa- ja viihdekeskus Minna. Take 5€ with you and give it to the Fencing instructor at Kuopion Miekkailijat. Only cash, please pay with even money. Everyone participating the trial will get a 5 € voucher that can be used to the basic course of fencing, which is starting in February. Notice! Come to the swimming pool lobby at 12.45, the instructor will meet you there. Synchronized swimming is an interesting combination of swimming, dance and gymnastics. Its speciality is the sports performance taking place underwater while holding your breath! During the one hour introduction you will get to try the basic techniques of synchronized swimming as well as practice and perform a short synchronized routine. Swimming instructer is from Kuopio Swimming Club. Notice! Come to the swimming pool lobby at 13.45, the instructor will meet you there. Water polo is a very physical olympic ball game. It combines swimming, contact with the opponents and skills with the ball. 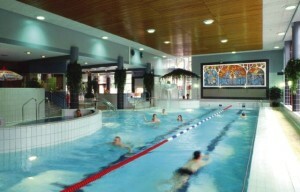 During the one hour introduction you will get to practise the basic techniques such as handling the ball in the water as well as challenge your opponents in a game of water polo. Enrolling includes participating in the get-to-know class and free swimming. You can use the swimming pool for 2,5 hours. The time begins when you clock in the swimming pool and ends when you clock out. Swimming instructor is from Kuopio Swimming Club. Take a 50 cent coin with you, to use the locked cabinets in the locker room! Crosstraining develops all aspects of your physical condition: power, cardio, mobility… The class starts with technique and strength training, and after that follows a high intensity training which is guaranteed to make you sweat. Come and try Judo! 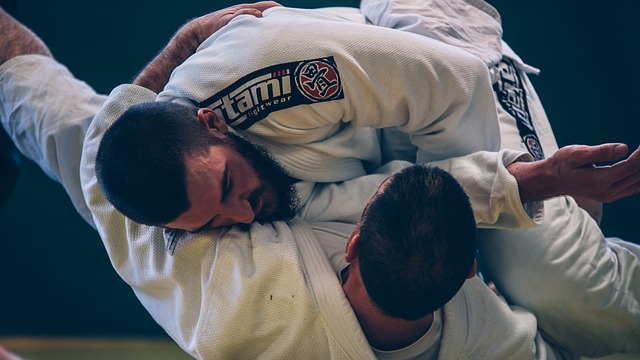 Its most prominent feature is its competitive element, where the objective is to either throw or takedown an opponent to the ground, immobilize or otherwise subdue an opponent with a pin, or force an opponent to submit with a joint lock or a choke. It is also Olympic sport. The get to know class is organized by Judoseura Sakura. In tatami we train with bare feet. Dress in comfortable sport clothes, if possible no zippers, pockets, hoods etc. Come and try Karate! Karate is predominantly a striking art using punching, kicking, knee strikes, elbow strikes and open-hand techniques such as knife-hands, spear-hands and palm-heel strikes. Historically, and in some modern styles, grappling, throws, joint locks, restraints and vital-point strikes are also taught. The get to know class is organized by Kuopion karateseura. 12.2.2019 between 10 and 19 the new members get the first month for half the price! Spa & hotel Rauhalahti offers you a possibility to relax in the woods as well as in the spa. 12.00 – 16.00 Spa, 9€/person. No enrolling if you only go to Spa. 13-13.45 Body and mind overhaul together with a walk in the wintery woods, 7 €/person. (Minimum 5 persons) Dress in warm clothes by the weather! Or enjoy both with the package price 9 €! Rauhalahti offers a Body and mind overhaul together with a walk in the woods, after which have the opportunity to go relax in the spa. Say at Rauhalahti Spa reception the code “UEF & Savonia liikuntailtapäivä”. Forest walk and spa together will cost 9 € and it will be paid at Rauhalahti Spa reception. If you want to visit the spa only, the cost is 9 €. RPM™ is a group indoor cycling workout where you control the intensity. It’s fun and low impact. With great music pumping and the group spinning as one, your instructor takes you on a journey of hill climbs, sprints and flat riding. In an RPM workout you repeatedly spin the pedals to reach your cardio peak then ease back down, keeping pace with the pack to lift your personal performance and boost your cardio fitness. Exercising muscles around the core, CXWORX™ provides the vital ingredient for a stronger body. All the moves in CXWORX have options, so it’s challenging but achievable for your own level of fitness. During the 30-minute workout trained instructors guide you through correct technique as you work with resistance tubes and weight plates, as well as body weight exercises like crunches, and hovers. BodyPump is a classic LesMills class. Get lean, build strength and tone muscle with BodyPump, a group-based barbell class to work all your major muscle groups. Studio Tempo is wellnes center for women, but everyone is welcome to the classes in Sports afternoon and in SYKETTÄ sport calendar! Try Tennis in KTS Center! Get to know tennis! Kuopion Tennisseura offers you on Sports afternoon a group for beginners as well as those who have some previous experience. You get to learn tennis techniques and gameplay and have time to play as well. Notice! The enrolling must be done at latest 8.2. before 12.00 o’clock. Cancellation must be done at latest 5.2., that is one week before the event. Equipment: Indoor sport shoes, tennis raquet if you have your own (club has raquets for loan if needed), water bottle.